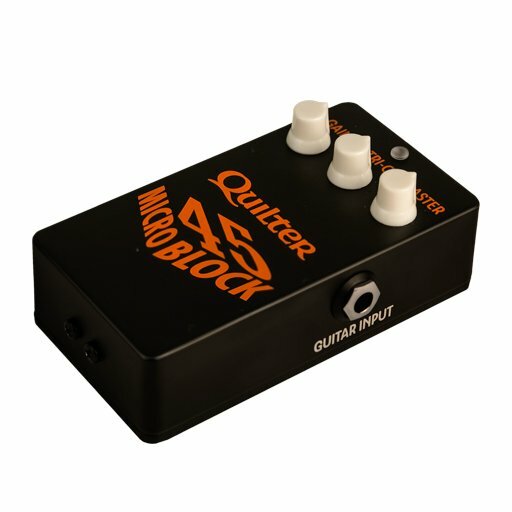 Quilter’s in-depth knowledge of tone and overdrive is now available in a compact pedal format with 33/45 watts of speaker power. Perfect for the player who doesn’t need the mighty Tone Block’s 200-watt output. Go ahead, plug in, turn it up and watch the jaws drop as a big helping of high energy Quilter mojo pours out of this little box! Clean or dirty, this efficient little workhorse keeps on rocking.